To increase the temperature during the heat transfer by Pressure Gradient Elastic Waves, patent  proposed to use a closed cavity (branching pipe) mounting on the wall at zones of high pressure. The experimental study was performed to substantiate the use of such cavities for the Vortex Tube made of plastic. For this purpose, the closed hollow cylindrical branching pipes are mounted on the side wall of the operating chamber. The axes of the pipes are perpendicular to the axis of the operating chamber (see Figure). To visualize the gas flows, one of the pipes was made of Plexiglas (filled with Plexiglas sawdust) and strengthened obliquely upwards. The existence of a vortex flow was unexpectedly revealed inside the cylindrical cavity of the branching pipe (see video). The existence of the secondary vortex (which is perpendicular to the main vortex in the operating chamber) can be explained on the basis of jet spiral flow pattern of the main vortex in Vortex Tube . 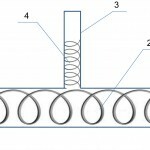 Spiral jet of the main flow may have a multistart structure according to the number of nozzles (slits) of the guide apparatus. In addition, the spiral is rotated, as indicated by the presence of precession . The jet of this type certainly create a secondary spiral inside the branching pipe, moving along the inner surface of the operating chamber during the contact with the edge of the opening of the cavity. Beliavsky Y., Pending US patent 61659680, 2012, PCT/IL2013/000057. Orhan Aydin, Muzaffer Baki. 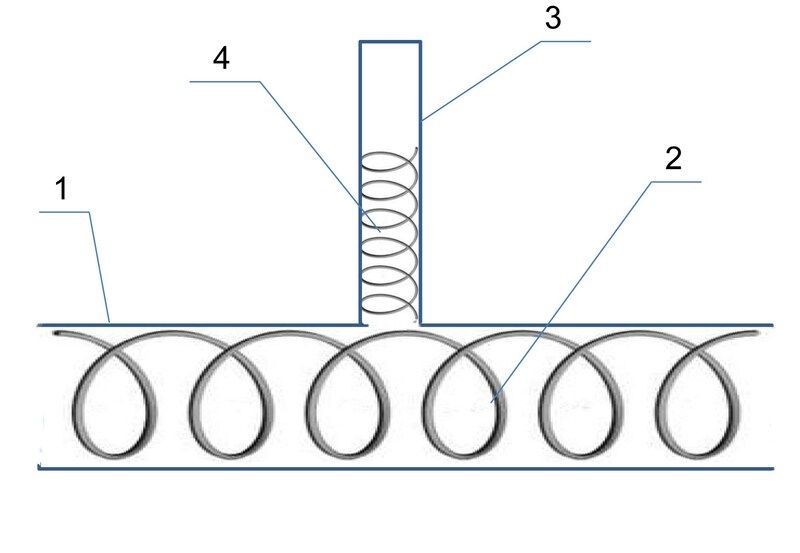 An experimental study of the design parameters of a counterflow vortex tube. Energy 31 (2006). P. 2763 – 2772. Piralishvili S., Polaev V., Sergeev M. The Vortex effect. Experiment. Theory. Technical Decisions. Moskow. Energy-engineering, 2000.